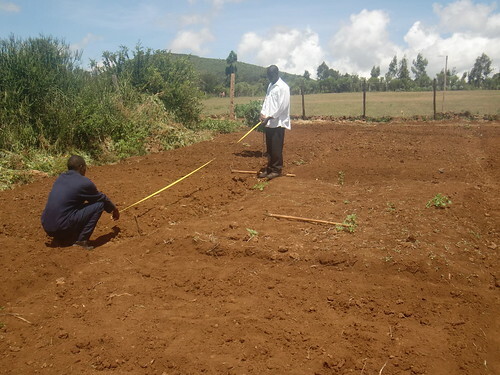 Every year in our Kenya National Examinations, Agriculture students usually have to do a practical in which they plant a certain crop-this year they are planting and later take proper care of it. 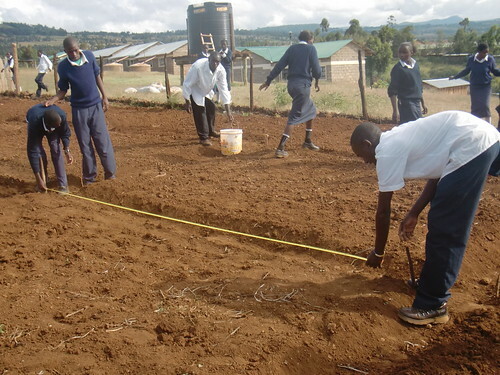 The marks gathered from the project also counts in the final exam. 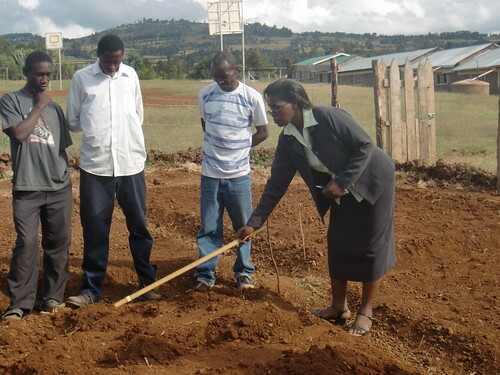 Madam Florence Kaburu the Agriculture teacher assisted the students in the fragmentation and allocation of the plots to the students as shown below. 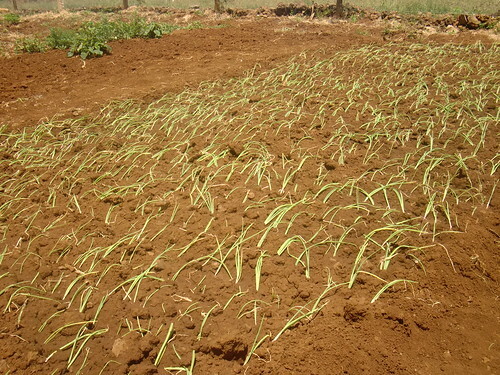 The Agriculture students will be planting tomatoes while some of the organisation in the school like Y.C.S (Young Catholic Students) and the CU(Christian Union) usually have their own project in the school, the photo below shows a farm owned by the Y.C.S in which they have planted onions.